Do you pine over pasta? Do you rave over ravioli? Will you spiral without spaghetti? You're not alone. 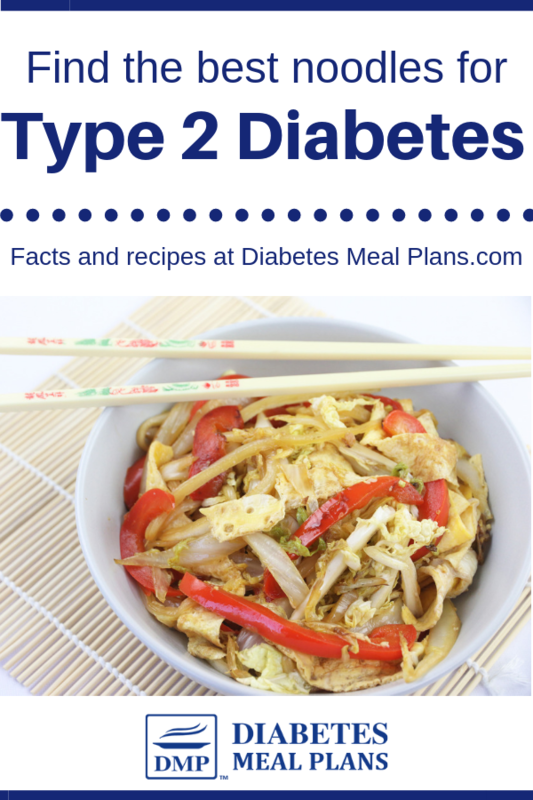 And while traditional noodles are not the best option for diabetes. You're also in luck, because there are some blood sugar friendly choices. 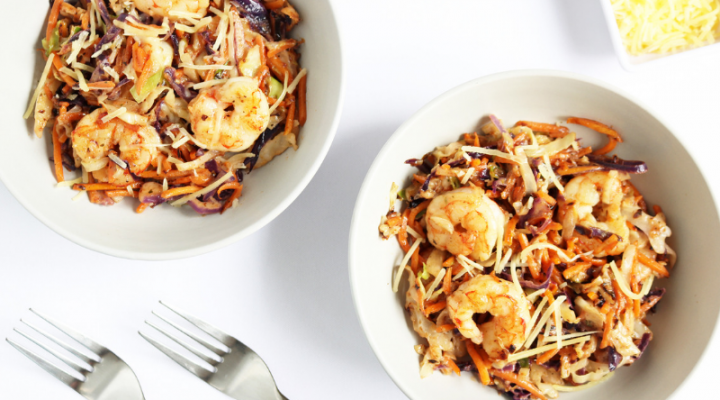 And we've got a bunch of delicious low-carb noodle recipes that are sure to satisfy your pasta cravings while keeping your blood sugars stable. What are Noodles Made of? Noodles are a well-loved food in almost every culture in the world. Europeans love their spaghetti, rice noodles are a staple in Asia, and most Americans have at least a few cans of Campbell’s chicken noodle soup hiding somewhere in their pantry. Most noodles are made from unleavened dough which is stretched thin, rolled flat, and then shaped into strings, spirals, shells, or bow-ties. Wheat noodles have been the norm in Western countries for decades but grocery stores offer a wide range of noodle options these days—you can find noodles made from rice, eggs, vegetables, and even seaweed! No one can deny that noodles are a major comfort food…but you may want to take a closer look at what noodles really have to offer before you go off the deep-end with a massive spaghetti dinner. Let’s start by getting the bad news out of the way: traditional noodles are all high-carb foods and not something diabetics should be eating. But don’t click away just yet, because there is also some good news: alternative noodles can give you the same happiness as regular noodles but without all the carbs! When you break down the nutrition facts for the average wheat noodle, you’ll find that there isn’t much nutrition there. Yes, you read that right—just a half cup of wheat pasta contains 76 grams of carbohydrates, and most pasta-lovers can’t restrain themselves to such a small serving so the carbs can stack up quick! Most noodle-fanatics have no idea just how many carbs they're consuming when they dive head-first into a plate of spaghetti or slurp down a delicious bowl of ramen. When you sit down to dinner, a pasta-dish is typically the main course of the meal with vegetables acting as a side dish. 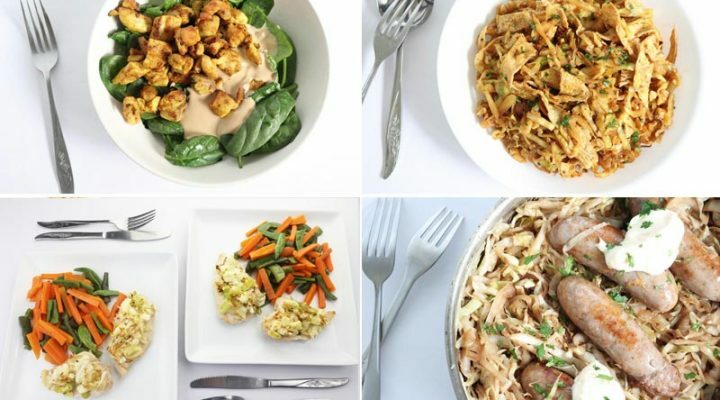 Really, low-carb vegetables and protein should be the main course and carb-heavy foods like noodles should be served either in very small portions or skipped altogether. Carbohydrates have a much greater impact on your blood sugar than fats and proteins do, which is why you’ll want to limit carbs in your diet (especially refined carbs like white bread and noodles). A goal of under 100g of carbs per day is a great place to start and 50-80g per day is ideal. Even whole grains like whole wheat or brown rice noodles can cause huge blood sugar fluctuations. And speaking of whole grains, now it’s time to address the myth that you need to eat large amounts of grains to get your daily dose of fiber (the recommended amount is 30g fiber/day). The old USDA food pyramid used to be based on grains, recommending 6-11 servings of rice, pasta, and bread every day! Can you imagine what a blood sugar disaster that would be? Fortunately, we’re starting to move away from that outdated model and science is beginning to recognize that limiting grains is better for anyone battling high blood sugar. Moving away from grains and adding more vegetables to your plate is the best way to get the fiber your body needs while still keeping your blood sugar stable. We’ve covered the noodle “no-no’s” so far but there are plenty of alternatives that do pass the test. 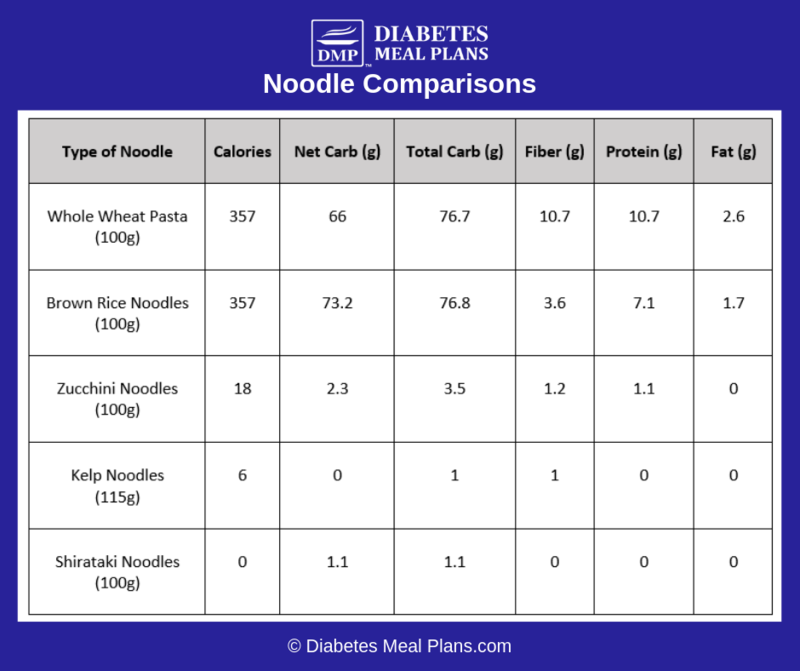 The chart below shows the major differences between noodles made from traditional grains and alternative low-carb noodles. Right off the bat it’s pretty clear that even whole grain noodles are extremely high in carbs compared to the three alternatives listed: zucchini, kelp, and shirataki (Japanese yam) noodles. While the wheat and rice noodles contain more than 70g of net carbs per 100g serving, the alternative noodles all contain less than 3g of carbs, which is way better. However, it’s good to keep in mind that just because these noodle alternatives are low in carbs, that doesn’t mean that they are super-foods to be eaten all day every day. You’ll notice that while they are devoid of carbs they’re also low in other nutrients, so it’s important to balance your meal out with a solid protein source and a heaping pile of veggies. Whole grains may play a part in a healthy diet for non-diabetics but when it comes to managing type 2 diabetes and reversing insulin resistance the consensus is clear: the grains have got to go! Time and time again, research shows that low-carb diets reduce HbA1c levels, lower triglycerides, and support healthy weight loss. Grain-free, low-carb diets like the “paleo diet” are a great way to improve diabetes, as demonstrated by several studies. 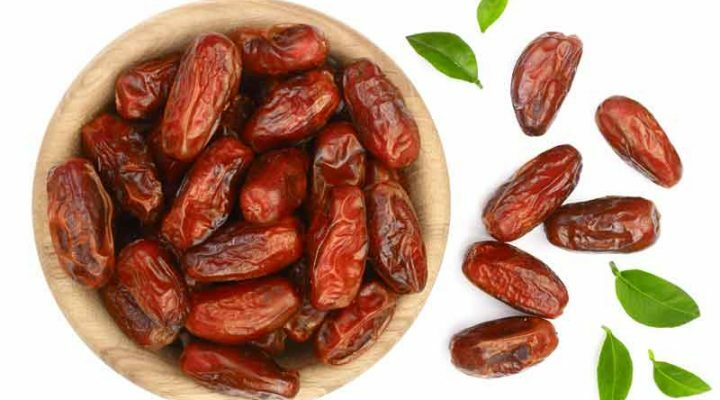 One study (2017) found that following a paleo-style diet for 12 weeks resulted in fat loss (-5.7kg /12.5lbs), increased insulin sensitivity (45% improvement), decreased HbA1c (-0.9%), and decreased leptin levels (-62%) in a group of middle-aged type 2 diabetics. Another study (2015) compared the results of a 2-week trial of either a paleo diet or a conventional diabetes diet that contained whole grains. They found that the diabetics on the paleo diet had greater improvements in glucose control, lipid profiles, and insulin sensitivity than those on the conventional diet. 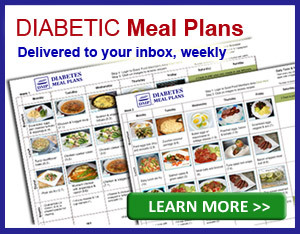 The type of diet we encourage is a low carb diet, where we provide weekly meal plans. Last but not least, a large population study on rice and noodle consumption in Asia revealed that eating these foods often may lower insulin sensitivity and increase systemic inflammation. Over 2,700 participants were observed and they found that higher rice and noodle consumption was associated with higher fasting glucose levels, higher insulin resistance, and higher triglyceride levels. Its important to note that the majority of participants in the previous study were most likely non-diabetic. If this is the case, and high-carb foods like rice and noodles caused such a poor metabolic response in a healthy population, how much greater would the impact be on diabetics who are already struggling with high blood sugar levels? It’s safe to say that high-carb noodles are not the way to go! Here we use shirataki noodles. This recipe uses zucchini noodles. 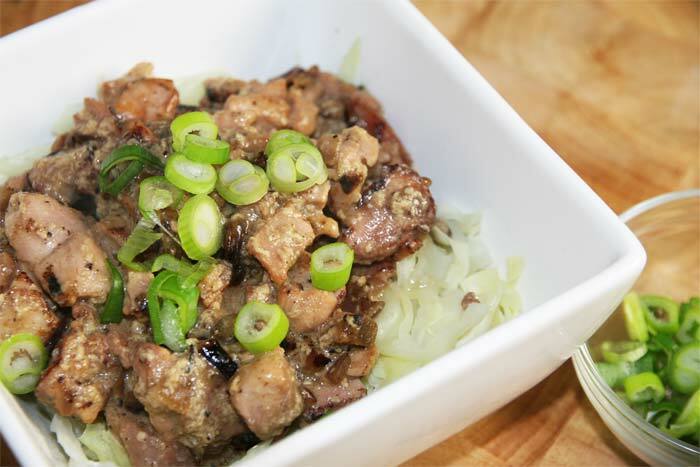 This recipe uses shredded steamed cabbage for the noodles. 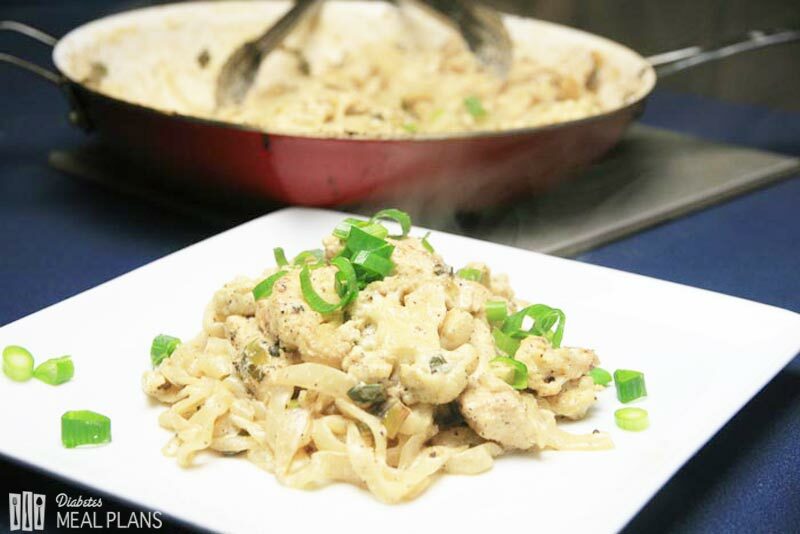 Alternative noodles are a great way to enjoy your old favorite foods while also cutting carbs. Humans may be creatures of habit, but don’t be afraid to branch out and explore new foods. You can substitute low-carb noodles for regular noodles in an old recipe or you can try a brand-new meal altogether. For example, traditional spaghetti and meatballs works just as well with zucchini noodles. 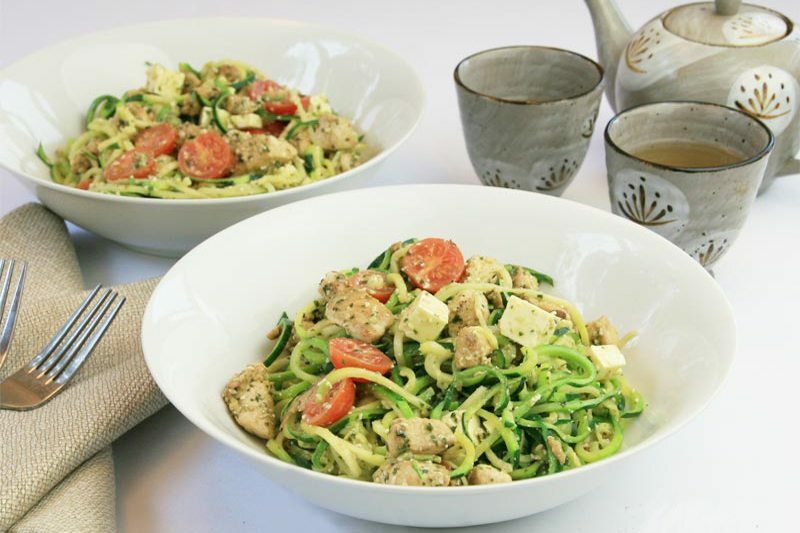 Spiralize your own zucchini noodles at home or buy them pre-cut from your local market—they are delicious either way! 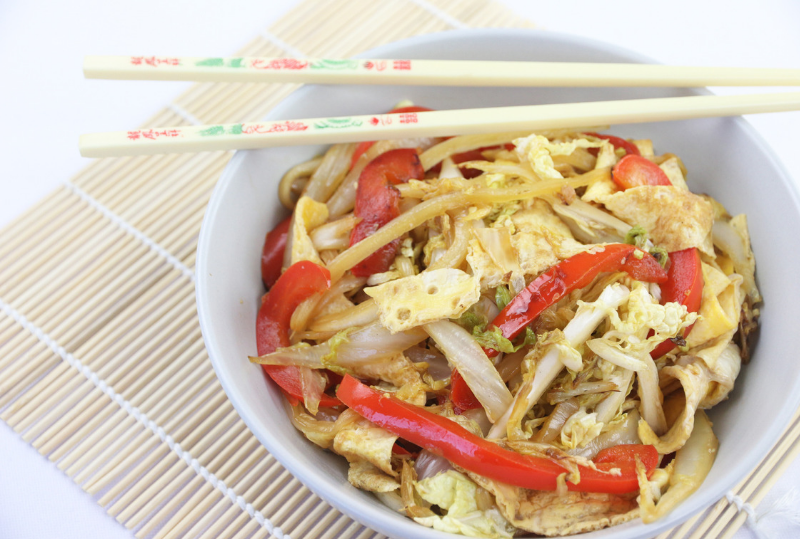 Shirataki and kelp noodles work well for Asian dishes like soups and stir-fries. Experiment with different spices, meats, and vegetables…the sky’s the limit!